How to Get Away With Murder star Viola Davis killed it in a mint green Escada dress at Variety’s 2014 Power of Women luncheon. 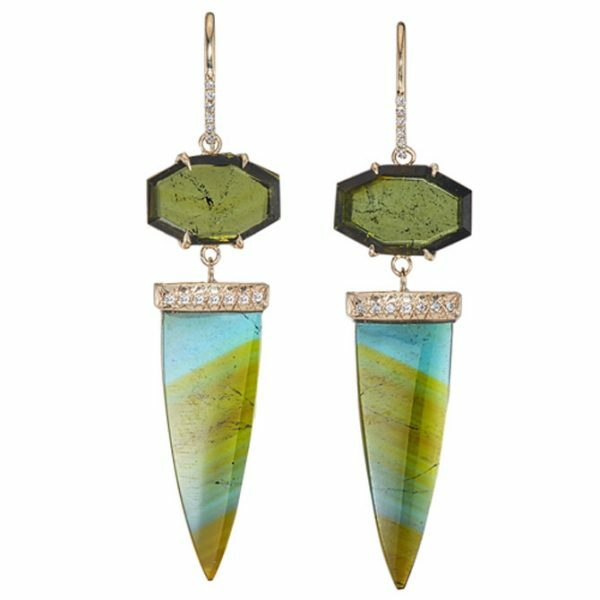 She proved her killer style instinct by adding massive aquamarine drop earrings from Jacob & Co. Meanwhile, Zoe Saldana was all aglow at the Los Angeles premiere of The Book of Life—and we’re not just talking about the then-expectant mother’s shining skin. The pinky-peach Altuzarra print dress practically shimmered on the actress, who finished her look with—talk about glowing!—blue sapphire Irene Neuwirth earrings.